Of all my pots and pans, the cast iron Dutch oven is the timeless classic. It is sturdy, weighs a ton, and has so many cooking uses. It’s been used for soup, stew, bread, and taken on camping trips. Since cast iron gets better with age, I hope to pass this on as a family heirloom at some point. 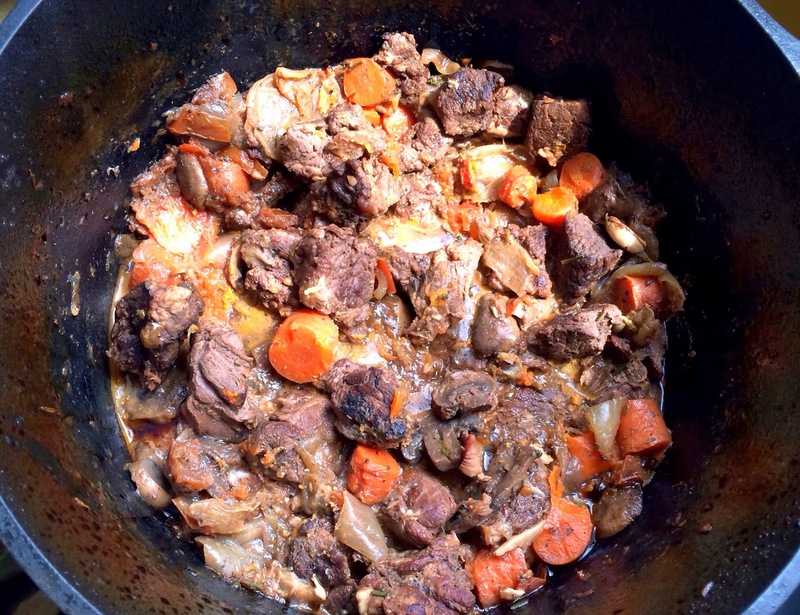 One Dutch oven dish I’ve made several times is beef daube provencal. It is a classic French beef stew with red wine and vegetables. The stew is braised and then baked for several hours, allowing it to be tender and flavorful. 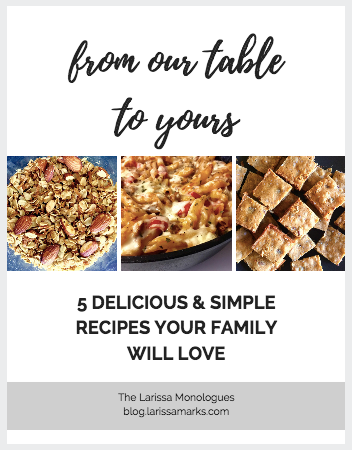 I usually double the recipe, and it provides our family with several days of meals. It can be served hot over rice or egg noodles. Preheat oven to 300 degrees. Heat a Dutch oven over low heat. Add oil to pan; swirl to coat. Add garlic; cook 5 minutes or until garlic is fragrant, stirring occasionally. Remove garlic with a slotted spoon; set aside. Increase heat to medium-high. Add beef to pan; sprinkle with 1/2 teaspoon salt and 1/4 teaspoon pepper. Cook 5 minutes, browning on all sides. Remove beef from pan. Add wine to pan; bring to a boil, scraping pan to loosen browned bits. Add reserved garlic, beef, remaining 3/4 teaspoon salt, remaining 1/4 teaspoon pepper, carrots, and next 8 ingredients (through bay leaf), and bring to a boil. Cover and bake at 300 degrees for 2 1/2 hours or until beef is tender. Discard bay leaf. Makes 4-5 servings.